This is a subject I am always ranting and raving about, and this week is no different. I present two cartoon/workflows which make my point rather well me thinks. I live in hope that one day the entertainment industry will come to the conclusion that to get people to pay they have to offer more, not irritating paying customers into not staying paying any more. As many people know, I know a thing or two about computers. If anyone asks my industry or my field I normally say computing. I say that for simplicities sake, because otherwise it leads to too many questions. However, of late I have come to realise that is akin to calling a shelf stacker at a supermarket part of the food industry. While technically correct, it avoids the detail that makes the difference. As soon as someone hears that I do web development and “build websites” as I put it, they want to know if I can help them with their computer. While as it happens I often can, in reality the computer is just a tool to me in my industry the same as it is to a secretary in an office. While you would expect them to be able to use the machine, you would not expect them to fix it when it went wrong. People seem to think that everything to do with computers is all the same and that if you can do one thing in computing you can do them all. If only it was as simple as this. To illustrate my point I’m going to explain something I was asked to explain the other day. I was asked how websites work. Remember to keep in mind as I explain what a tiny tiny fraction of computing this is. Most websites begin with a database where all the data in the system is stored. This is accessed through SQL (1 language) which I then connect to with in my case PHP (2 languages) which then does all the processing of that data. In my environment I use CodeIgniter (1 framework) to do the main calls, process and validate the data and then pass it to Smarty (1 mark-up) to be displayed. Then for good measure I need to understand some Unix (operating system), some Apache (a web-server) and all the other techs that go with each of those. Oh, and having a good understanding of XML, JSON, IMAP, POP etc all help day to day too. So all this covers a small part of web development and all of this is evolving and changing on a quite literally daily basis and people wonder why sometimes I can’t be bothered to fix their computer. I understand people still have some security issues, but really, with a little common sense applied and the current tech that goes into banking like key generators you should be fine. There is one thing however that I don’t understand. It feels like it is being held back for no good reason. For something that has been with us on the web for some time, it feels no different. I admit my main experience of this is NationWide, however from what I have seen, others are no better. Why do we not have nice shiny interfaces? Why can I not tag payments by type and draw graphs of them? Why Can I not put in regular payments and forecast savings? Hell, why are the views so cryptic and the interface so clunky? I know there are a number of these tools on-line which address most of my issues, however they require you to give them your sign-in details which not only breaks the TOS with the bank, it also just feels wrong and breaks my common sense rule. Where is the Gmail of on-line banking? Take a classic track such as Fleetwood Mac’s “The Chain”. A priceless track which has never gets old. This is a nice quality recording. OK, not the quality it was recorded at, but the best you will get. Actually, to be fair this is the two channels for stereo, so really it is 705.6kbit/s. But you can’t play a CD on your iPod or better MP3 player so you have to import it onto the computer first. This gives you maybe a 128 kbit/s or 192 kbit/s file in something like MP3, AAC or WMA. These apps can be set higher, but they are default settings, it is always best to go with those… right? Then you add it to your iPod or better MP3 player through something like a USB cable (no fear, data can’t leak out of the cable). You could play it at this point, but if you want to hear it you are going to have to connect it to some speakers or earphones. Are you still using the earphones that came with your player? Were they nice and white and did they look pretty and stylish? Did you ever think about the audio quality on them? No, you were just too busy standing out from the crowd with the same earphones as everyone else. Maybe you want to listen to your music at home too. These speakers with iPod docks seem to be everywhere and don’t cost too much, I mean, they are a little steep, but they look good right? Of course you never notice that the cones on this stylish player are about 10cm’s across and have about the same output range as a dead rat. So, what have you paid for the privilege of listening to sub standard music?Next time you want to listen to some music, do yourself a favour, consider a cheap CD player, cheap AMP and a couple of bookshelf speakers, if only for the sake of the music! I have just had one of those days. You know the type, where everything that can go wrong not only does, but likes to break everything else with it. What follows are a couple of screenshots from my browser at work. 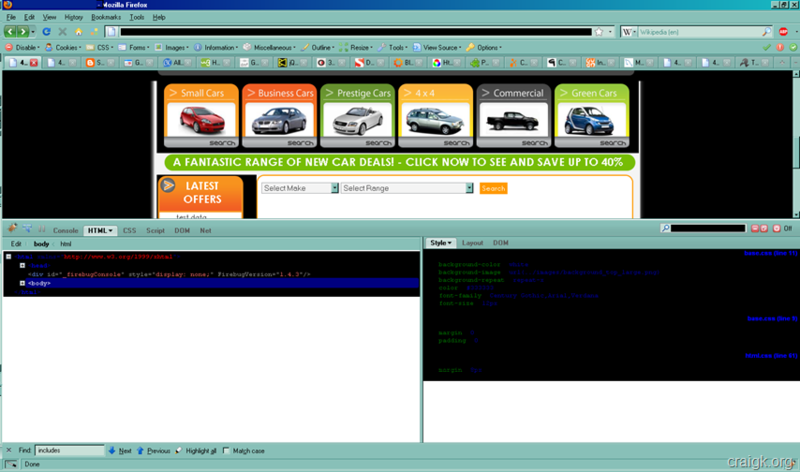 Note I am running a plug-in at the bottom of each window called FireBug which allows you to edit the page live. Anyone who does any decent form of web development will be more than aware of this plug-in and should be using it everyday. What is it not meant to be able to do is change parts of the browser itself… and thus i present evidence to the contrary. To me this reads as something of an oxymoron. How can something with multiple functions and only a single button to achieve them with ever be called intuitive? Intuitive is a word that gets thrown around rather a lot in IT. Normally it is used to describe something people can just pick up and use with no training or instruction. Apple likes to use the word a lot in in relation to its devices and software. But tell me this, on the iPod, does the idea of moving your thumb round and round a dial ever equate to an up and down motion? Does three diagonal lines in the bottom corner of a window on any OS suggest to you that this is where you click to change its size? Does a circle with a line breaking it in the vertical suggest on and off or power? The simple answer and conclusion from this is that there is no such thing as an intuitive interface or control mechanism. An easy to use interface is simply one that builds upon knowledge you already have. To return to my Bluetooth headset, the one I was looking at was a few models up from the one I have now. It has the same one button structure as my current headset. Although I would not describe this interface as intuitive, if I ever was to use this new device I would assume double tapping that single button will call the last dialled number, pushing and holding for 6 seconds will change to pair mode. These are not intuitive interactions, but they do come from knowledge I already have. There is a certain irony to how I feel about computers at the moment. Today started with the sync partnership between my phone and Outlook on my computer getting lost broken or stolen from me one way or another. The net effect of this was all my contacts, tasks, notes and calendar entries vanished from the phone. While this was not a catastrophic loss as all the data is in Outlook too, a phone with no contacts is like a car with no wheels. So I set about restoring the flaky connection between the two devices and forced them to kiss and make-up. All in all this lost me about 3 hours of this morning with other distractions and tasks occurring in-between. You would have thought that now I would be generally annoyed at technology, but in actual fact the exact opposite is true. This successful patching of the morning spurred me on to sort out a couple of other things on my phone and general organizational system in the in-between times of the day. Specifically I re-discovered MS OneNote. In a way there is nothing that special about OneNote, it is a note taking application for the computer which is part of the Microsoft Office suite. All you do is keep notes in it, that is all. Yet it is how elegantly that this all works that makes me feel I can appreciate computers for that they are again, tools to get the job done. I dragged bits from websites including text and images and they just appeared in the note along with date time and where they came from as a block ready to be moved about. I can just pick up any element and move it round like publisher. I can also just start writing wherever I want and use all the nice powerful formatting tools from Word. I have workbooks, tabs, pages, folders. I can tag items, draw things in, highlight text, search for anything (including text inside images). In short, it is an application that makes collating and storing little notes and bits of information for projects and alike really really simple. The best part of all of this… I knew I could set this up to work with my phone. I found the option to install to my phone. Up on my phones screen popped the installation, I clicked through and 30 seconds later I had all my notes on my phone so I have them with me. I like it when things just work! OK, new version of Firefox came out yesterday, version 3.5. Nothing that interesting in my opinion, bit faster, uses a bit less RAM, look and feel is pretty much the same and all of my add-on’s work. Nothing that special, nothing bad, just gentle progression. To be honest, it is the kind of development I want from something I use everyday. However today one of those “little features that makes the big difference” caught my eye. Normally if I were viewing the source of a page I would see all the URI’s of all the media included in that page like the CSS files. If I then wanted to go to that CSS file I would need to select the text, copy it, go back to the browser and then paste the link into a new tab and go to it. This is a little slow but it is just second nature these days. Clicking on any one of those links opens it in the source viewer! This tiny change is a major step forward. Unfortunately there is no back button, but backspace works just as well. Is Google really the best search engine? Some of you (tech foo dependant) may have seen that Microsoft have released a new search engine to replace Live Search called Bing. This in itself is not that interesting. It does have a couple of nice features in things like the image search and the drilldown on each item in your search results. I do recommend that you have a go with it, if only to have tried Google’s competition. What I would much rather talk about is a service called Blind Search. In fact I found Google to come back with my least favourite set of results pretty consistently. This was not something I was expecting at all. According to the 30 or so searches I have done on the site it turns out I prefer Yahoo. I have no plans to switch to Yahoo in the near future due to them having the most cluttered homepage known to man, but it is still interesting to see how poorly everyone’s saviour Google can perform. OK, so technically it is a new OS, but I’m sorry Apple, this is just too feature light to ever be considered a new OS. As far as I can tell you like the sound of “OSX” so you don’t want to move to version 11 because it sounds less cool. You also take as long with your service packs as everyone else, but it is much easier to be “current” when you call them a new OS each time. Now it has to be said, unlike previous service packs this one will not cost $129 (or about that in £’s), nope this one will only cost $29. Now you might think that to be mighty generous of them, especially given last time they released an update the 3rd best feature according to their own website was a more shiny dock menu (no, not the new features in the dock, just that it was more shiny). Faster bootup and shutdown times, and half the disk footprint of Leopard, which will save you about six gigabytes of disk space. Signal strength indicators in the Airport menu. 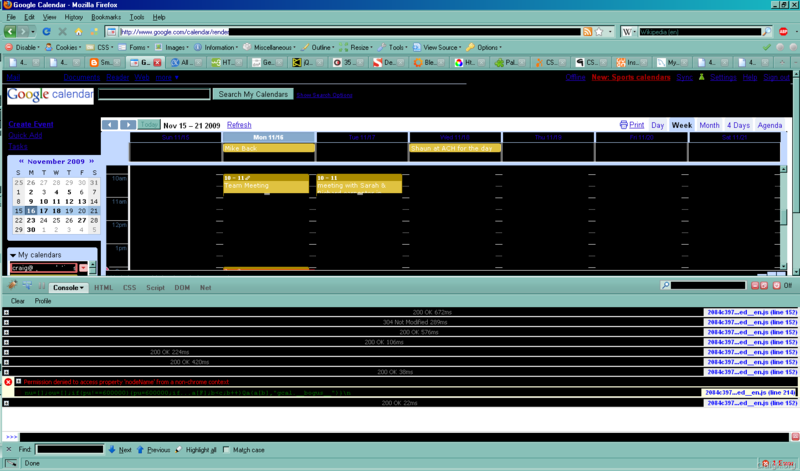 A split pane terminal, so you can run jobs side by side. Date in the menu bar. Video editing and screen recording in Quicktime (I’m going to assume this is going to be for all OSX versions too). Hell, 64bit won’t mean anything to almost everyone anyway. So all in all, it sounds truly pathetic doesn’t it. These are however the only OS specific statistics they give, for everything else they claim it is all “faster”. In recent weeks the news has been awash with yet more “statistics” and articles regarding movie piracy, particularly this rather disturbing bit of research that claims that the UK industry could be loosing £120billion per year (films software and music mainly). How flawed this “statistic” is boggles the mind. They are assuming that every file that is downloaded would have been bought in full every time. 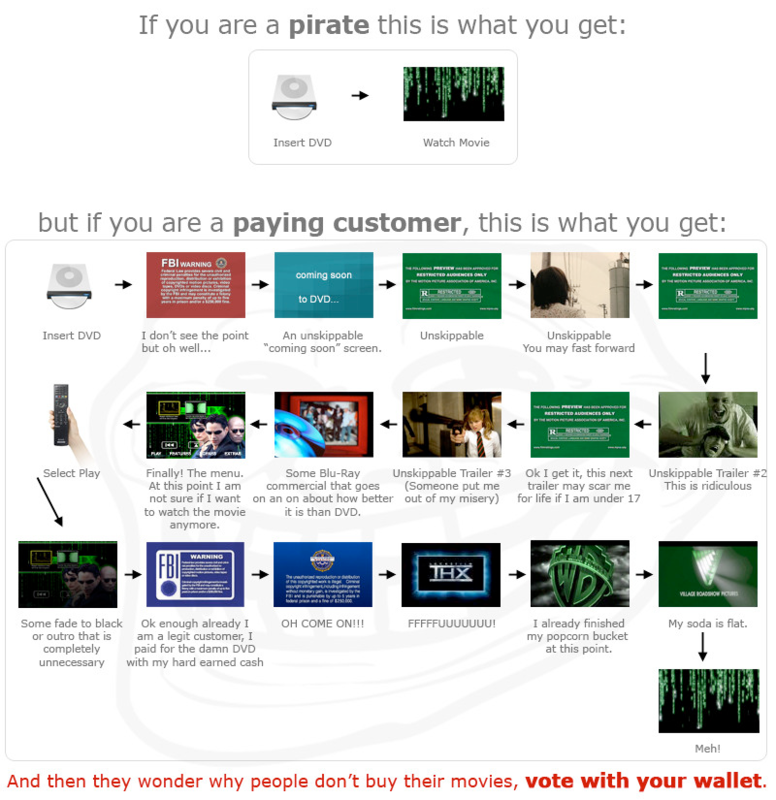 This method of analysing the costs of piracy was shown to be more than just a joke, it is a fabrication leading people to the wrong conclusions. Before I get to the movie industry I want to take you back to the music industry. The internet has come on a long way since the late 80’s early 90’s. For one thing is has got faster every year and it is this speed boost that gave the movie industry the head start it needed. You see, in the days of the slower internet movie piracy was never an option, it could take you weeks and cost considerably more than the price of the film to download it. However music files are much smaller in and were much more in the grasp of the ordinary person. With the onset of the MP3 player people started looking for ways to get more digital content. With an absence of anything official, illegal alternatives such as Napster (now re-opened and legal) popped up. People shared their content there for some time before the music industry got wind of it and had it shut down. But by then the damage was done, people realised the best way to get digital content (in this case music) was to download it. It took the iTunes store to ever make a dent in that method. Where the iTunes store succeeded was it made music easy to find, readily available, granular and most importantly, sensibility priced. It was a hit and didn’t take long to be a major driving force in the music industry. There was however still one problem, Digital Rights Management (DRM). DRM allows manufactures to lock content to only be able to do certain things. It can only be played on specific players, on specific machines by a specific number of people. People were also used to being able to download illegal copies without DRM or for more money go get the CD and make DRM free versions of the files. Recently the music industry finally “got this” and started making DRM free tracks available. The online music industry is moving on in leaps and bounds now, OK, there is a lot of catching up to do and some more tweaks to the system are still required, but it works and gives people a viable alternative to piracy. If you think back some time ago we had the VCR and the cassette that went with it. This had no concept of DRM on it whatsoever, it was a simple device that went from one side to the other. Yes, they put advertisements and notices at the start of the tape back then, but at the very least you could fast forward through them. With the arrival of the DVD the industry took advantage and ended up not only getting, but abusing the ability to force people to go through content that could not be skipped or fast forwarded. To add insult to injury this content is mainly a lot of anti piracy stuff being targeted at the people who didn’t pirate the film. Not only do they force you to watch adverts etc, they are also big fans of DRM, using it to lock content onto the disk so it can’t be copied easily, locking which screens you can view it on (ever heard of HDCP?) as well as even locking some of the sound out on certain devices. Now in our ever connected world these restrictions simply cause people further frustration and aggravation. What happens when I have a film on DVD and I want to watch it on some small device I can take on the train like the Archos? The simple answer is it is almost impossible. What happens if I would rather download my films and not have to go to the shop and buy them on disk. What happened to the iTunes concept for the movie industry? Well, the simple answer is they never made it. So, what would I do if I wanted to solve all these issues? In fact the answer is fairly simple, your pirate it. This gives you the content you want DRM with a method of delivery that works for most people instead of paying through the nose for content which doesn’t do what most people want. fact, only the other day did a study come out showing that DRM actually encourages piracy. So, what is the final step in this picture? Well, in the last year or so content providers are starting to get this, they have realised the way in which films have taken off online and are finally starting to push back with solutions not laws. They are starting to see that the internet could be a very powerful delivery tool, but in my opinion they still missed the boat. They were too busy stopping people pirate they forgot why people did it, they did it because industry never provided the content people wanted in the way they wanted it, they ignored all the evidence and now they are quite literally paying the price for it. These should have been the companies leading the digital revolution, not trying to slow it down. Yes, there has been change in the right direction, but if this comment by Sony pictures CEO Michael Lynton is anything to go by, they have a long way to go. I don’t think there is such a thing as an “intuitive” user interface (UI), however, I do believe there is such a thing as a guided UI, one which walks you through the process. I was talking with Nik and Dan on the subject of the self checkout tills at Sainsbury’s and Nik was explaining a recent example he saw of where the hand-holding falls down. He saw a guy scanning an item, paying for it and then scanning a new item and paying for it etc. Now granted this method works, however the intention is that you scan all your items and then pay. Where on the user interface does it tell you this? Last I looked there were no visual clues, just the assumption people would expect it to work as the other tills do. Today I found another hole I think. I scanned in items then I shoved my card in the reader expecting to be asked my pin etc. Instead I was met with an error telling me my card was being rejected by the authorizing body. So I tried another card, same error. 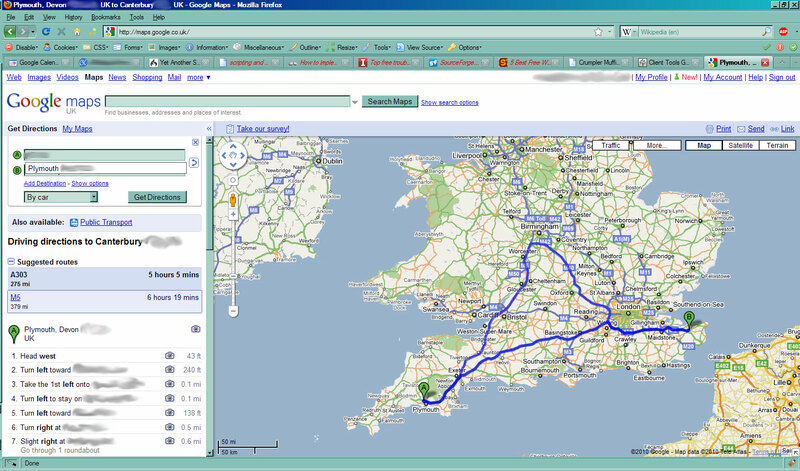 I eventually realised that I had made a mistake, I had not hit the “Finish and Pay” button. Now fair enough this error was down to my mistake, however, how did that error message help me? It led me away from the real problem! What really irks me about this is why don’t they allow you to shove the card in to signal you are ready to pay? I mean, if I hit Finish and Pay and then instead of selecting “cash” or “card” just put the card in it is quite happy with that. So Sainsbury’s, relevant error messages and more short-cuts please. Microsoft’s Windows OS has picked up a bit of a reputation in recent years. It concerns general instability, slowing down and becoming buggy. Although some of this is fear mongering etc, there is no doubt there is some truth in the matter. So why is this? I would say almost every major bug or instability that exists in Windows is down to one thing, backwards compatibility. If you think about it, what you can run under Windows is more than just impressive, it’s scary. I play a game about 10 years old every few days. Ok, it isn’t perfect, but most of that is down to multi-monitors. In fact, if I think about it, almost any old bit of software I try to run works. It isn’t always pretty, but it does get by with reasonable success. All this compatibility comes at a price though, it take up space and introduces system instabilities. You end up with little patches of old code still kicking around and they all add up. There is however a solution to this, virtualization. You have an emulated copy of older versions of Windows running, you integrate them into the new OS and then if an application needs the older version you have it run within there. That way you keep your new OS to itself and keep all those nasty old bits of code out of your shiny new OS, and you keep backwards compatibility for your old applications through virtualization. Up until now this has just been something we wished Microsoft would do, however, the other day they made the first baby steps towards this solution. 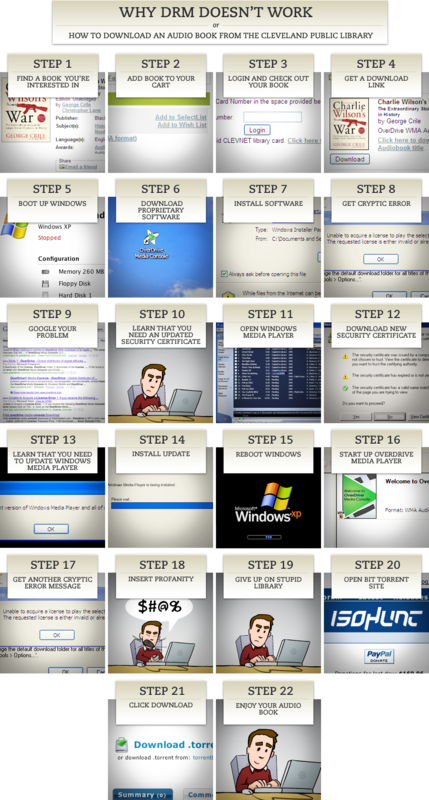 They announced that hardware dependant you could download a special virtual XP for Windows 7 to allow you to run old applications that are not compatible with Windows 7. There solution is by no means perfect, it is the first step in a chain of that needs to be taken for a more stable and reliable Windows, it is however still that first step and this can only be a good thing. Copyright © Craig King 2006-2017. For more details on the licence please click here: licence. Or get in contact if you need more detail.